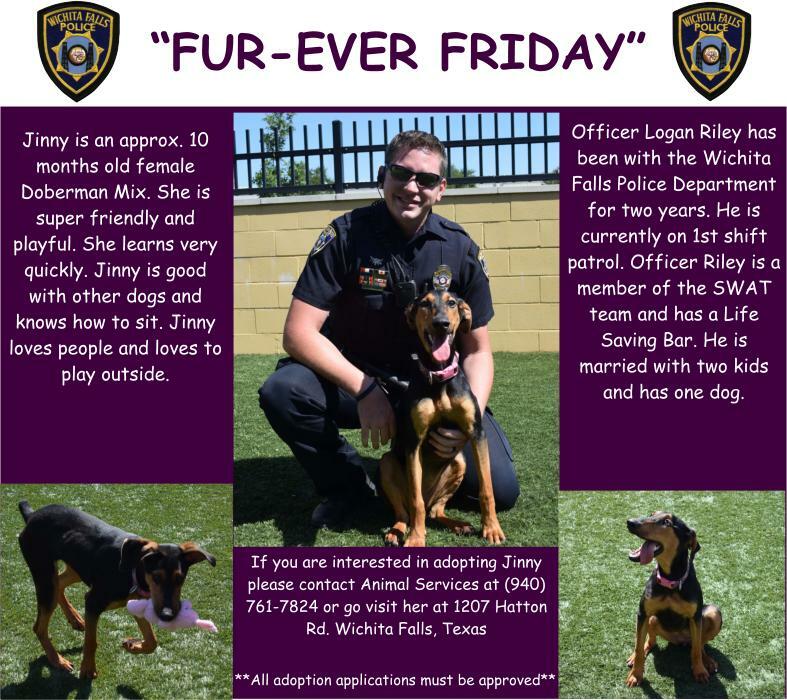 “Fur-ever Friday” Week 43 – Jinny & Officer Logan Riley. Jinny is currently waiting for her fur-ever family to come and rescue her. She is at Animal Services at 1207 Hatton Rd. Her time is limited so please consider giving her the family that is deserves. Contact Katrina at (940) 761-7824.